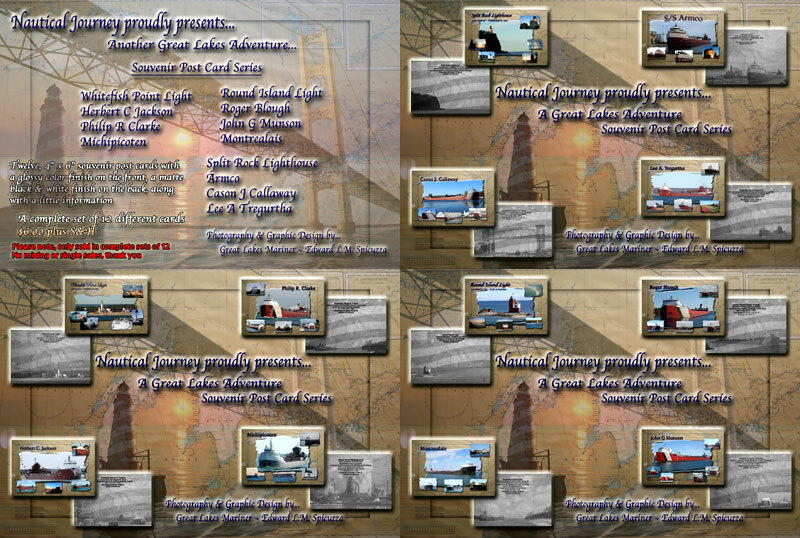 Nautical Journey provides unique and original artwork of the Great Lakes in the form of Nautical Postcards created by Great Lakes Mariner, independent filmmaker, and Emmy nominee, U.S. Merchant Marine Edward L.M. Spicuzza. These souvenir postcards of the Great Lakes have high quality, glossy color on the front, black and white matte finish on the back while sharing a little information about the specific picture on the postcard. Each 4″ x 6″ post card is suitable for framing or for a variety of decorations. 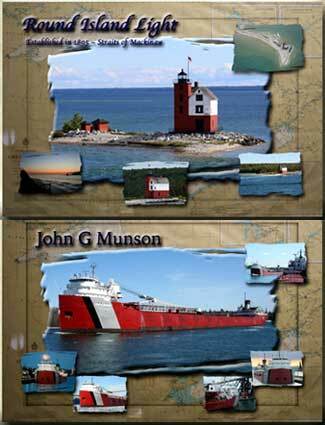 The postcard set includes 12 different designs with 4 lighthouses and 8 Great Lakes freighters, sold in a complete set of twelve.